When it comes to street sweeping, nothing arms you better than Elgin. For over 90 years, Elgin has been an industry leader, and the company is widely recognized for manufacturing the best air sweepers on the market. 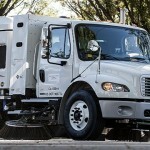 We are proud to be a dealer of Elgin’s innovative and reliable street sweeping equipment, and this month we are shining the spotlight on the Air Street Sweeper line. 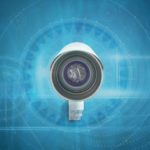 Contractors, municipalities and numerous industries have long relied on the Crosswind for its straightforward operation, exceptional functionality and unrivaled productivity. Able to work for long periods thanks to its combined hopper and water tank and incredible fuel-efficiency, the Crosswind is able to tackle large areas like parking lots, airport runways and more. Its ergonomic structure makes it even easier to operate, and its heavy-duty vacuum sweeper can handle even the toughest debris. 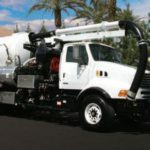 This impressive machine is ideal for streets, parking lots and industrial and construction sites. Quiet but powerful, the GeoVac is known for its efficiency and accessibility, and it features an 8.5-foot sweep, 330-gallon water capacity and 8-cubic yard hopper. 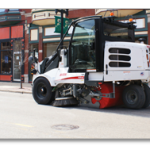 Highly customizable to suit your needs, this Elgin street sweeper delivers reliability, versatility and impressive pickup. The Whirlwind’s short wheelbase, extending nozzle, wider sweep and low-maintenance structure make it a favorite of both municipalities and industries. 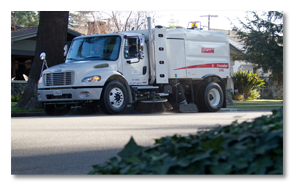 To learn more about our Elgin street sweepers or to schedule a free demonstration, contact the team at Haaker today at 800-200-3432!